Sometimes I am lucky enough to gain early access to Toyota’s new cars – like the Yaris Hybrid supermini I reviewed in May – but more often I don’t quite make the guest list when the company launches its latest products. The latter was unfortunately the case with the Toyota Prius+, a car I quite wanted to have a closer look at. 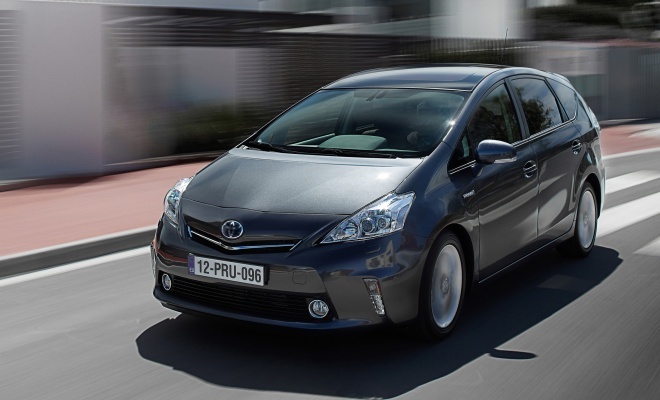 The new and more roomy Prius looks sure to be a hit with minicab and hybrid car hire firms when it arrives, not just because of the promise of excellent fuel economy but also the prospect of bulletproof reliability. 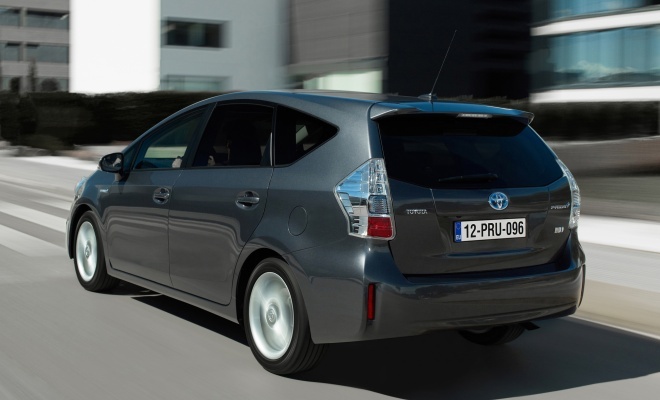 Toyota says the existing Prius is the most reliable car it makes, with fewer warranty claims than its petrol or diesel cars, neither of which are known for being especially flaky or temperamental. The Prius+ should also prove tempting for many company car user-choosers, who will be attracted by the family-friendly room on offer coupled with a 96g/km CO2 score that will make the Prius+ hard to beat in tax terms. 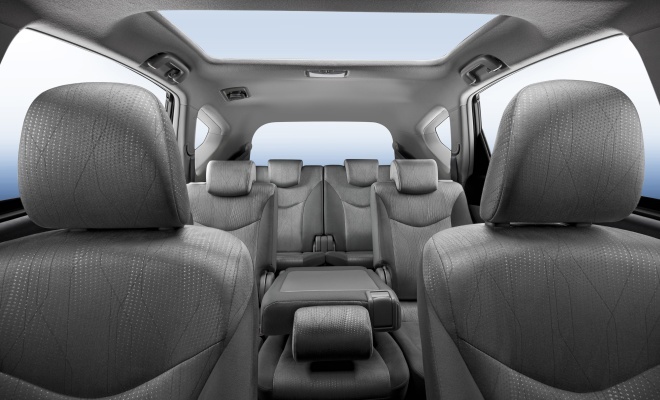 And the interior should indeed prove more friendly and flexible than the standard Prius. For one thing, there are two extra seats that flip up from the boot floor, providing seven places to sit in total. The middle row provides a modicum of MPV flexibility too by being split into three individual chairs that can tilt, slide and fold independently. Since I can’t yet drive the car myself, I’ve perused a handful of reviews, to see what other testers thought of the car. Most seemed to agree that the third-row seats are tiddlers, for example, best suited to children. So what’s it like to drive? “Performance is adequate, but the CVT gearbox makes an awful whine if you push the throttle hard,” says Auto Express. Which I could have guessed, given the racket made by every other CVT hybrid on the market. Autocar’s review also focuses on the “unappealing drone that needs much better suppression” but does hand out praise for tidier-than-expected handling and a “pleasingly level” ride, although bumpy roads “betray a lack of pliancy”. Too much wind noise also assaults What Car’s ears, while the ride “feels very stiff over poor surfaces”. But the big Toyota redeems itself on twisty roads with “predictable and stable handling”. “The steering is a lot better weighted and more direct than the standard Prius,” opines The Telegraph, adding further praise for turn-in and body control. All in all, apart from the dreaded CVT whine, it sounds as if the Prius+ might be noticeably better than the standard Prius from behind the wheel. Is it nice inside? “The materials feel robust and functional, but nothing special,” states Auto Express. What Car is even less impressed, spotting “cheap-looking details” and a cabin generally lacking “the air of quality you’d expect in a car that can cost the best part of £30,000.” The Telegraph is similarly critical: “What’s disappointing is the sheer flimsiness of some of the trim panels,” it says, while Autocar criticises the “shades-of-grey-cabin that’s not good enough at this price”. So that’s a collective thumbs down on the inside. Obviously the Prius+ interior could be a lot better. Should you buy one? What Car scores the car three out of five and notes that “price is a big stumbling block for private buyers” and so recommends something diesel-powered instead. “I, for one, wasn’t impressed,” says Mr Telegraph, awarding two stars out of five. Auto Express doesn’t really come to a conclusion in its review but awards a surprisingly generous four out of five stars. And while Autocar doesn’t hand out stars, it does adjudge the Prius+ too pricey for what’s on offer. 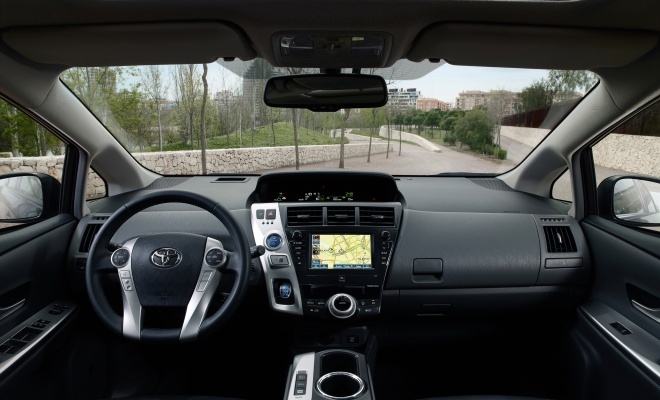 All in all, the Prius+ gains a thoroughly mixed bag of reactions, from a generous four to a meagre two out of five stars, praise and criticism for its road manners (and its either light or firm steering – take your pick), but a consistently negative response to its interior quality. The Prius+ may be bigger and more versatile than the standard Prius, but from the tenor of the reviews I’ve read it doesn’t sound like a step up in quality from the smaller and cheaper car.